At school or at the kindergarten, a cuddly scarf is a must for winter playtime. Made of 100% recycled fleece, the Kids Baksmalla Fleece Scarf from Jack Wolfskin feels soft and snug around the neck and adds an extra portion of warmth to chilly winter days. 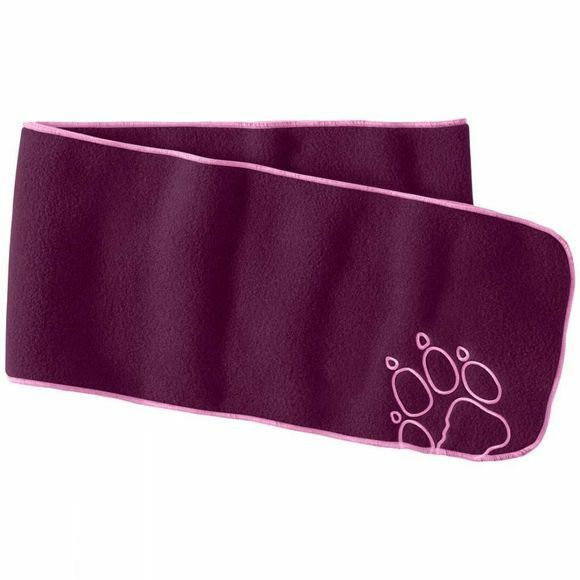 With its embroidered paw print, this trendy little scarf is guaranteed to attract admiring looks.